Welcome to Mercy Ebute's Blog: Pakistan university under attack by gunmen. Pakistan university under attack by gunmen. Gunmen have attacked a university in Charsadda in northwest Pakistan, with reports a gun battle is still under way. The attackers tried to storm their way into Bacha Khan university, injuring at least three people, reports said. Explosions have also been heard, according to eyewitnesses. Charsadda is about 50 km (30 miles) from the city of Peshawar, the scene of a 2014 massacre by the Taliban of more than 130 students at a school. 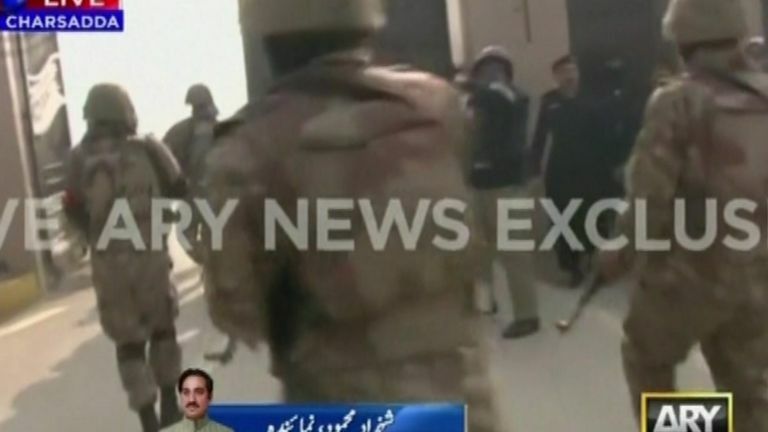 Sources told news channel Geo TV "terrorists" had entered the university around 09:30 local time (04:30 GMT).